A lively property with warmly decorated rooms and surrounded by lush greenery. The rooms provided by Hotel Roshan Haveli are really beautiful and pleasant to live in. The rooms have been painted in monochromatic hues and the notable piece of furniture is the set of wooden chairs. The curtains provided inside the complement the neutral palette of the room. All rooms are well-furnished and quite spacious. The additional facilities offered by the hotel are free Wi-Fi, parking provisions, a mini fridge in each room, card payment in all forms, and laundry provisions. 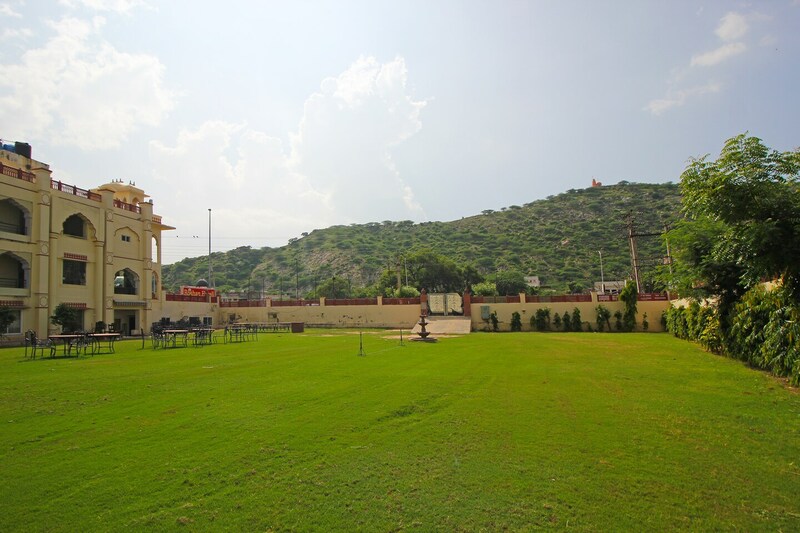 The hotel is surrounded by a huge lawn where the guests can unwind and relax after a tough day at work. The front desk service has also been decorated elegantly and is managed by an experienced staff.